South Australia’s best tourism businesses are reminded to nominate for the 2018 South Australian Tourism Awards before nominations close on Monday, 25 June. 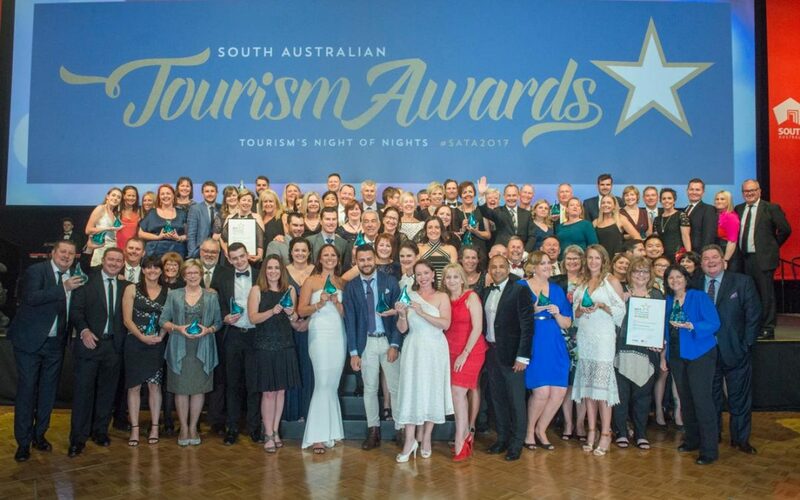 Recognised as the pinnacle of excellence within the South Australian tourism industry, the awards attract hundreds of entries each year, with winners going on to represent the state at a national level. rewarded for their ongoing commitment to the state’s tourism industry. tourism industry,” said Mr de Bruyn. and greater opportunities for business growth. Minister for Trade, Tourism and Investment, David Ridgway says our tourism operators are providing unforgettable experiences that are attracting more people to our state than ever before. “We are very proud of their achievements and we want hard-working businesses to gain the recognition they deserve. South Australian Tourism Commission Chief Executive, Rodney Harrex says we look forward to supporting our passionate tourism operators to represent South Australia at the state and national awards. Entry is open to all South Australian tourism operators across more than 30 categories. Accessible Tourism category. This category is open to all South Australian tourism businesses or attractions delivering tourism products or services that are accessible for all guests. The awards is an online submission and site based program. Nominations close on Monday, 25 June with submissions due on Monday, 13 August. The Awards Gala Dinner will be held on Friday, 9 November at the Adelaide Convention Centre. For more information and to nominate, visit: www.satourismawards.com.au.